Scientists have demonstrated that reading builds our real-life empathy. As we identify with book characters and their feelings, we expand our ability to understand other people. Since empathy is so central to community wellbeing and cohesiveness, this gives libraries an exciting opportunity to position their core reading business in a new way. Hate crimes are at their highest level since records began, and Empathy Day was founded by EmpathyLab as a response to the need for more empathy in a divided world. It focuses on using books and stories as tools to build more understanding between us all, because scientific research shows that reading builds our real-life sensitivity towards other people. Reading empathy boosting stories and poems can help to challenge prejudice and build connections between us all. Library services responded enthusiastically to 2017’s pilot, recognising the unique role they play in creating conditions in which empathy can thrive. Four of them then teamed up with EmpathyLab for a successful bid to the Engaging Libraries fund established by the Carnegie and Wellcome Trusts. 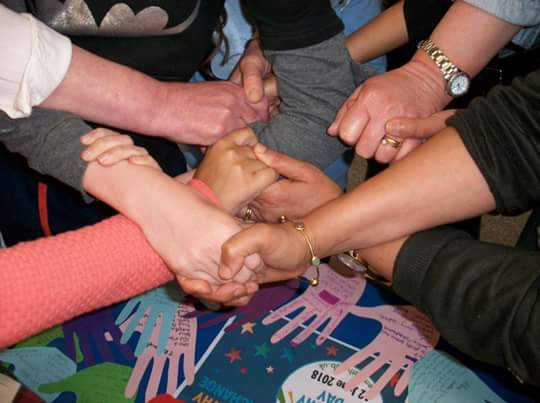 Using this funding, Essex, St Helens, Sheffield and Libraries Unlimited (Devon) are experimenting with involving communities in empathy-focused activities, culminating on Empathy Day. The project explores how communities engage with the concept of empathy, and the wellbeing impacts that are realised as a result. Each library service is partnered with a children’s author for maximum creativity - these are Sita Brahmachari; Gillian Cross; Bali Rai and Helen Moss. 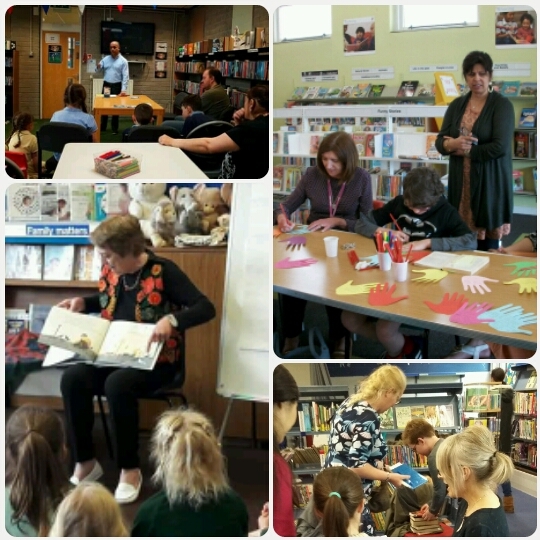 Image shows (from top left, clockwise) authors in libraries: Bali Rai in St Helens, Sita Brahmachari in Sheffield, Helen Moss in Essex and Gillian Cross in Devon. Photo credits are the library services in each area. In the first phase of the project the libraries talked to local people, asking “what are the issues in our community where more empathy would help?” Given how different the four communities are, the responses were strikingly similar, with loneliness and lack of intergenerational understanding emerging as common themes. During the spring all four authorities held Empathy Cafes involving authors and local people in co-developing activities to engage other members of the community on Empathy Day based around their theme. St Helen’s project is called ‘Human First’. Author Bali Rai led discussions with communities about empathy and what makes us human. Library staff are creating fantastic displays including an Empathy Tree to hang people’s pledges to put empathy into action. The four authorities are now building up to Empathy Day when the work prepared in the Cafes will involve the wider community. 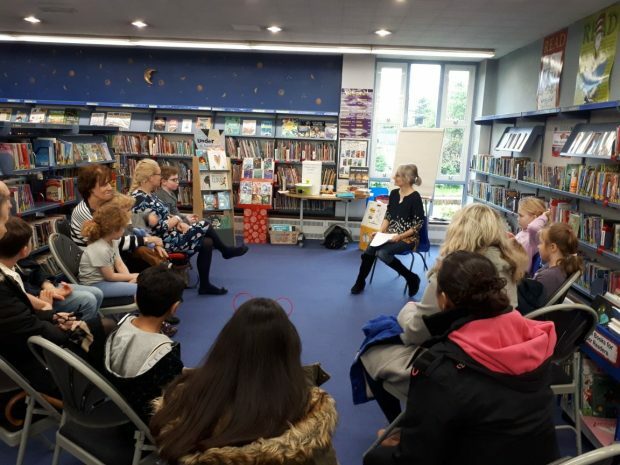 Loughton Library will become Empathy Island and author Helen Moss will inspire children to explore loneliness among older people and decide how they could make a difference. The Engaging Libraries project is just one aspect of the public library network’s support for Empathy Day. 55 library services have committed their involvement and are developing creative plans. In some authorities every single library is involved. Manchester Libraries will be running empathy-focused rhyme times, empathy film shows, class visits and empathy craft events and authors Alan Macdonald and Tarnya Cole will be working with children. Kirklees Library Service is working with author Chitra Soundar. Many library services are running empathy rhyme times and are also linking Empathy Day activities to existing arts and cultural partnerships. Some services are using Empathy Day to understand and address local community tensions. Two services are also planning to introduce Empathy Day activities to their prison libraries. There is no better place than libraries to explore the importance of empathy in building happier community relationships. Everyone is urged to join in, sharing their ideas for empathy-boosting books and deciding how to make every day an Empathy Day.